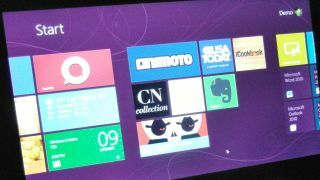 Time to ditch Windows XP and get Windows 8? Windows XP devices could be costing businesses over five times more than Windows 7 and are losing businesses nearly eight hours a year in downtime. We're coming up to the launch of Windows 8 yet there are still many businesses - 42% at the end of 2011 - using Windows XP, an operating system that dates back to 2001 and is no longer fully supported by Microsoft. A new white paper by analysts IDC called, Mitigating Risk:Why Sticking with Windows XP is a Bad Idea. Has found that Windows XP can cost more than five times as much as current Windows 7 devices to support and XP devices will suffer nearly eight hours of downtime a year. The report – admittedly sponsored by Microsoft - looked at large enterprises who use a mix of Windows XP and Windows 7 devices and measured the costs to support the various different operating systems and the downtime due to those systems. According to the white paper, the annual support cost per PC of using Windows XP was a staggering $870 (£559), but for Windows 7 users the figure is just $168 (£108), additionally five year old computers running Windows XP cost companies around $324 (£208) in lost productivity and $766 (£492) in IT labour costs each year. The report blames the increased costs on, "a variety of problems, not all directly attributable to the operating system, but common in older solutions that required IT labour and help desk support activities." When it looked at the reasons for reduced productivity it found that, "User productivity costs were driven up by higher levels of downtime caused by security woes, waiting for helpdesk support and time spent rebooting systems." The IDC reported the other benefits of a more up to date operating system including, Bluetooth connectivity, faster USB ports and high-resolution monitors, that Windows XP users miss out on. Support for Windows XP will end in April 2014 and, as of the end of 2011, the product was still the operating system of choice for 42 percent of commercial Windows users. IDC's 12-page white paper, Mitigating Risk: Why Sticking with Windows XP is a Bad Idea, can be downloaded free from Microsoft.